The Vietnam National Academy of Music will present a special concert at its Grand Concert Hall in Hanoi on July 4. Conductor Tran Vuong Thach, Violoin Soloist Tran Le Quang Tien and artists of the Vietnam National Symphony Orchestra will participate in the show. 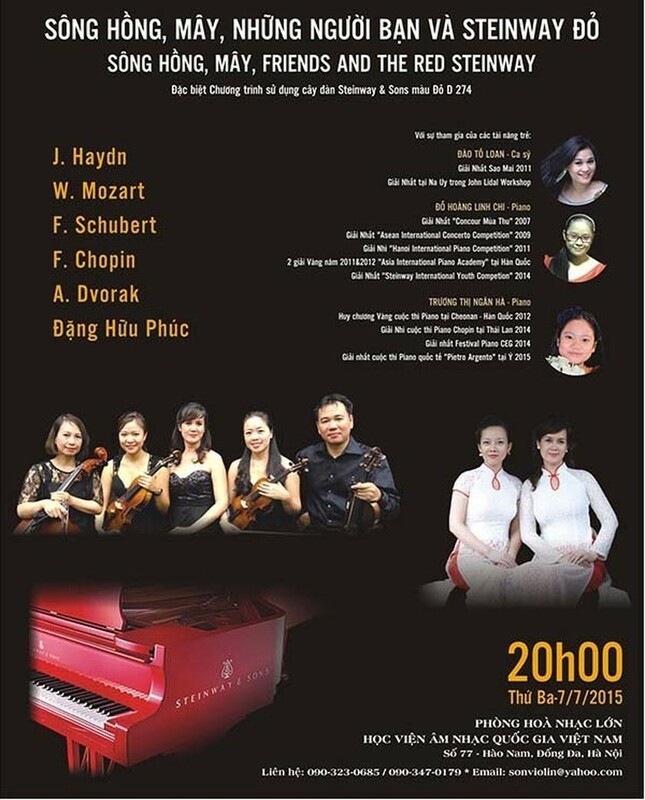 The young artists will perform compositions by J Haydn, W.A.Mozart, F Schubert, F.Chopin, A.Drovak and Dang Huu Phuc.